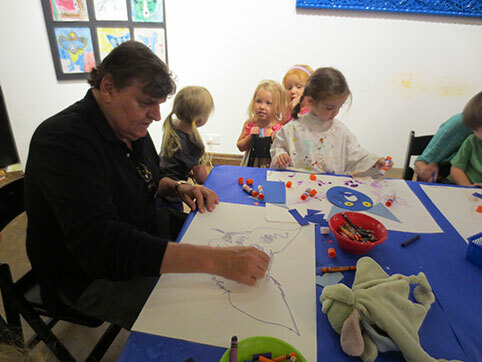 George Rodrigue had a passion for the arts from a very young age. This passion was supported and nurtured throughout his life, allowing him to succeed, and go on to achieve international fame. Through the George Rodrigue Foundation of the Arts (GRFA) it is our goal to encourage creativity and provide students an opportunity to succeed by advocating for the arts in education. GRFA supports programs and organizations that teach and implement arts integration. This teaching method caters to multiple learning styles, engaging each child and giving them a path to success. Arts integration is about teaching and connecting all subjects by using all forms of the arts to enhance the learning process.